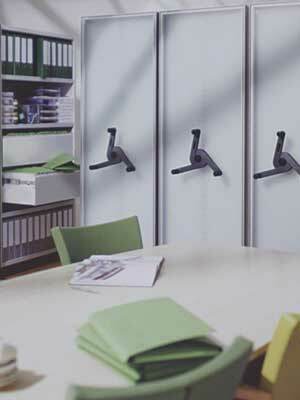 Our Mechanical Mobile Shelving systems will save you space over traditional stationary shelving. These Mechanical Mobile Shelving systems eliminate the need for multiple aisles and replace them with additional shelving units, making the most use of your valuable space. Our highly trained designers will take the measurements of your space, and assure you get the most possible storage inches with your new Mechanical Mobile Shelving system. We have the know how, and product lines to make sure you have the best system to fit your needs. Applications are varried ranging from office applications like medical records to heavy and light industrial like parts storage. Other applications are courts records, insurance records,legal records, automobile parts, bench stock, readiness bags, police evidence and pharmacy applications. Before you commit to expensive lease space, give us a call. 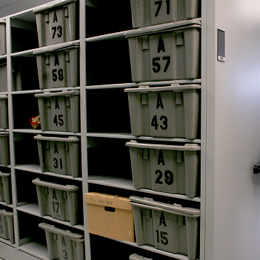 Many of our Mechanical Mobile Shelving systems will pay for themselves, just in lease savings alone! With decades of hands on design, installation, and manufacturing experience, no other shelving company has the expertise to match that of NationWide Shelving. 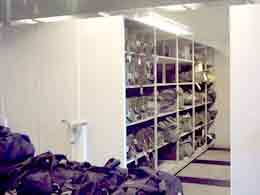 We have installed thousands of Mechanical Mobile Shelving systems all over the nation. We understand the storage challenges you face, and have designers ready to create innovative solutions. 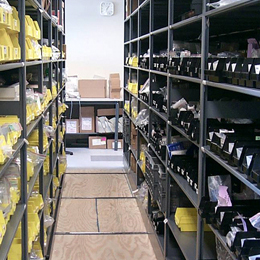 Our Mechanical Mobile Shelving systems are manufactured by Richards Wilcox Aurora Shelving, Bouroughs Aisle Saver, Pipp Mobile Storage, Datum, DirectLine, Mobile Media, Equipto, Kardex Compact, Elecompact, Jetter, Space Pro, and SpaceNow. Leaders in steel storage products. Since Nationwide Shelving is a top shelving provider in the nation, we are able to keep our prices low, and the quality high virtually beating any price value for our products on the market today. 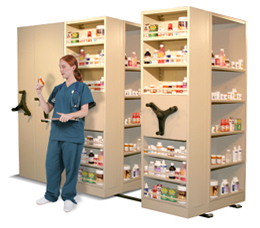 Iif you prfer a specific brand of Mechanical Mobile Shelving please phone us at 800-326-4403. 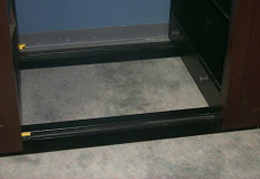 Protection: This system protects Mobile Shelving users and/or any objects left in an open aisle. Design: Positioned at the carriage level and placed on both sides of the mechanical assist carriage. The safety sweep will be 4" in height and run the full length of the carriage. The safety sweep will automatically reset. 3 pounds of effort will be required to activate the safety.